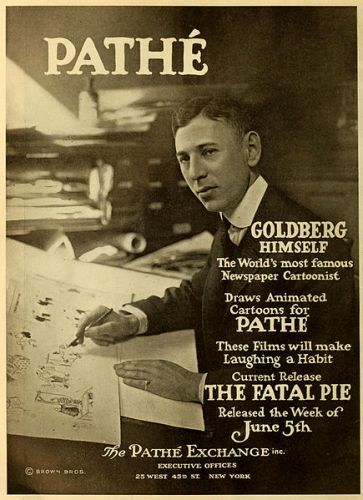 As I have stated before, Goldberg had collected many awards during his life as a cartoonist. In 1959, he received the Banshees’ Silver Lady Award. In 1948, his political cartooning made him earn a Pulitzer Prize. National Cartoonists Society was founded by Goldberg. He also served as the first president in the institution. Goldberg is still considered as a role model for a cartoonist. There is no need to wonder that his name has been used to call the award, honor or competition of cartoon in the world. Reuben Award was inspired from him. An international competition to create a complicated machine for executing a simple is recognized as Rube Goldberg Machine Contests. The birthplace of Goldberg was located in San Francisco. His parents were Hannah and Max Goldberg. There were seven kids in the family. Goldberg was the third one. Goldberg was only four years old when he started drawing illustrations. When he was 11, he had a professional drawing lesson. On 17 October 1916, Goldberg and Irma Seeman got married. The couple decided to settle in New York City at 98 Central Park West. Thomas and George are the names of the couple’s kids. 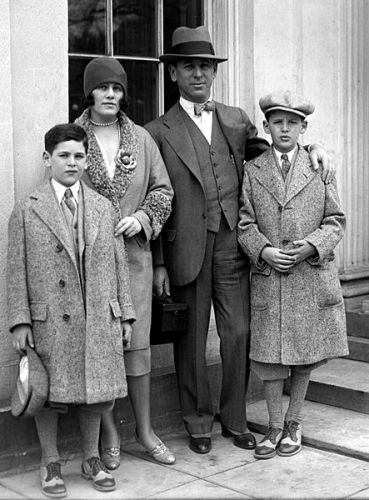 Goldberg insisted that his sons should change their surname into George during the Second World War because some people hated the political content in his cartoon. To maintain Goldberg’s name, Rube Goldberg Incorporated is used as the name of the company run by the children of Thomas and George. The popular cartoon series produced by Goldberg included Lala Palooza, What Are You Kicking About, Foolish Questions, and including Mike and Ike (They Look Alike). In 1915, the word Goldbergian was used in the print due to the popularity of Goldberg’s works. In 1995, the work of Goldberg had the posthumous commemoration. Do you have any comment on facts about Rube Goldberg? Share the post "10 Facts about Rube Goldberg"
Facts about Thomas Gainsborough tell the readers about the famous printmaker..
Facts about Thaneeya McArdle tell the readers about the famous and..
Facts about Terry Denton made you aware with the famous author..
Facts about Teesha Moore make you know more about the famous..
Find out the interesting facts about famous artists on Facts about.. The following post discuss Facts about Roy Lichtenstein. He was known..
Facts about Rona Green tell the readers about the visual artist..